Lvl Up, a new gaming lounge in the Irvington neighborhood of Indianapolis, Ind., has yet to officially open its doors, but owner Sami Ali already has cause for concern. On June 23, the business received an anonymous note in the mail that read, “Close Shop! 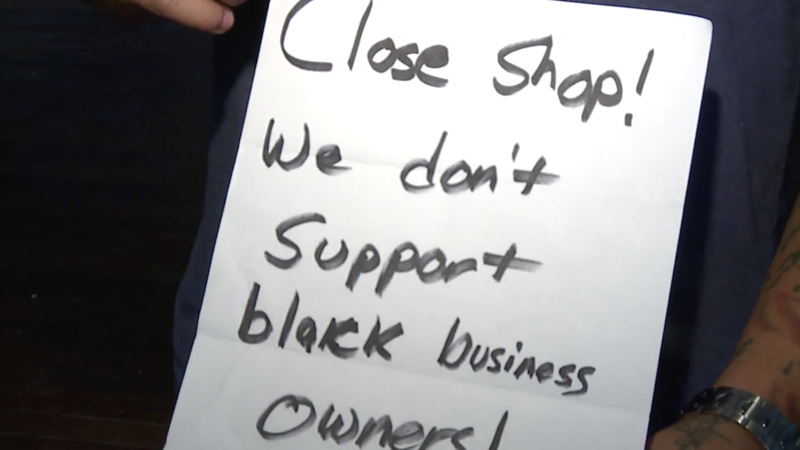 We don’t support black business owners!” Ali said the note was received after a recent gaming event, reports Fox59. Ali is from the east side of Indianapolis, and says he views his new business as an investment in the historic Irvington neighborhood. “[It’s] a place to come in and meet people face to face and then the adults can sit there and enjoy a glass of wine,” he said. Ali’s spent thousands of dollars getting the business, which is set to open in September, up and running, and has already organized gaming events prior to the official launch. He says other Irvington businesses have shown him love and support, and that his neighbors are upset about the anonymous hate letter. He and his co-owners say they plan to install security cameras. “It bothers me that people still think that way but it is not going to stop me from doing what I want to do,” he said, adding that he was undeterred by the hate letter. “We got your note but we are not going to back down. We are going to push forward and maybe open up sooner,” he said.